There have been mold horror stories circulation on the news almost daily. 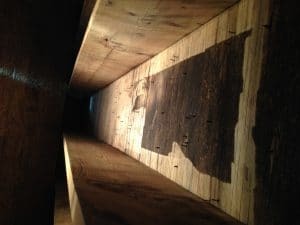 All Brite Cleaning & Restoration has been dealing with mold issues since 1986 and is here to shine some light on the “mold epidemic.” For more information, read our guide on the Top 9 Mold Mistakes and How to Avoid Them. 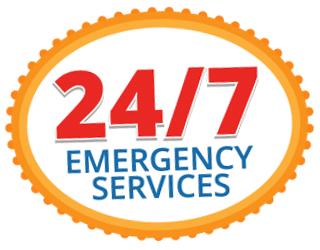 A client called All Brite Cleaning & Restoration in a panic. She had recently installed a new refrigerator and when it was installed, the water line to the icemaker was not installed correctly. By the time the client discovered the water leak, the entire kitchen was flooded. To make matters worse, she was ill advised on how to handle the problem, and by the time she called All Brite Cleaning & Restoration, she had a full-blown mold situation on her hands. 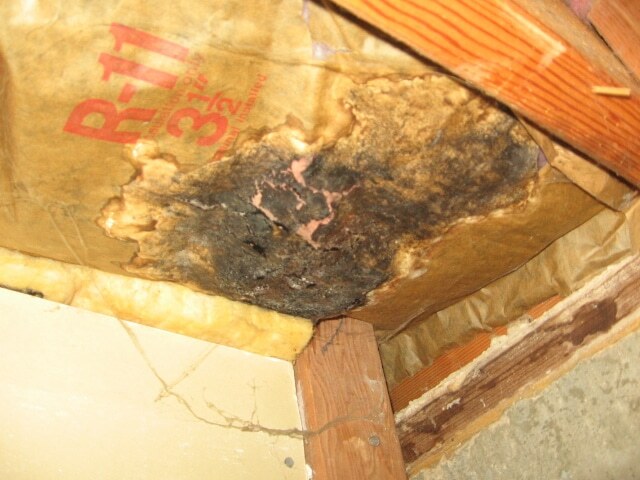 Moisture is required in order to have visible mold growth. If you can see mold, rest assured, you DO have a moisture problem. Many times, especially in the southern states, people use humidifiers (or swamp coolers) in their homes. As a result, this pushes the RH in the home above 55%, which creates a prime breeding ground for mold. When you know what to look for, it’s easy to “sniff out” a mold problem and nip it in the bud, before it becomes a major issue. By taking just a few minutes to do a simple inspection of your home on a regular basis, you’ll be able to locate a mold problem that may have otherwise gone unnoticed, causing serious damage to your home and unwanted health problems for your family. Everyone reacts differently to mold exposure. Some people are highly sensitive to it, while others are not. Asking yourself questions like do I smell musty odors, or do my symptoms improve when I am away from help, can help you pinpoint the source of your health problems. Unfortunately this has become a huge problem and it’s all too common. If you need help with mold, be careful who you take advice from. It’s not the best decision to take advice from friends, family members, neighbors or other unqualified sources. The fact is, while they may have the best intentions in the world, they’re just not qualified to give you advice on mold or how to handle it. Make sure you are getting advice from certified professionals like All Brite Cleaning & Restoration! Unfortunately, much of the “mold panic” is fueled by unethical companies who take advantage of your lack of knowledge. Every industry has its share of “bad apples” and it’s no different in the cleaning and restoration field. But you can easily protect yourself from their scams when you know what to look for. Learn more at www.iicrc.org or www.ascr.org. These organizations are certifying bodies for the cleaning and restoration industry. 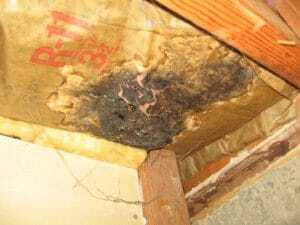 Sometimes a mold problem will grow unnoticed in your home for months, and by the time you finally discover it, you’ve got a major problem on your hands. As houses are built or upgraded with more bathrooms, ice makers, whirlpools and other plumbing fixtures, the same features that enhance your largest asset (your home) also threaten to erode it. The problem has grown as homes now come with dishwashers, icemakers, wet bars and multiple hot water heaters. Then there’s the washing machine on the second floor. They’re a great convenience, but now water drips into the living area instead of just the basement. That’s why it’s so critical that you remain alert and take care of any water intrusion immediately. The most important thing to remember is this: Don’t get in a mold panic! Understand the mold topic so you can make informed and educated decisions. 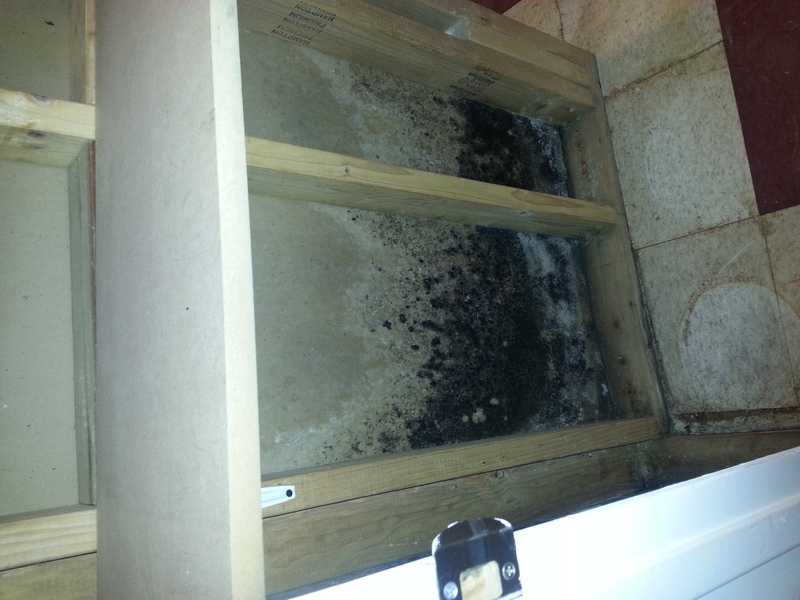 If you suspect that you have mold growth in your home call All Brite Cleaning & Restoration today!